For as long as history goes back there is evidence of travel and our need/desire for the nomadic nature. We traveled by foot hundreds of miles, then horse and carriage we ventured thousands more, then came automobiles, motorbikes, ferries and planes… and oh my! The world is open for exploration. I sit at my desk with an antique map tacked to my wall. I have pins of adventures I have taken, and every time I look at it, my mind wonders about all the amazing places I have yet to visit. Travel gives us a unique gift that you cannot get from anything else. It creates a desire for more and a yearning to wander. 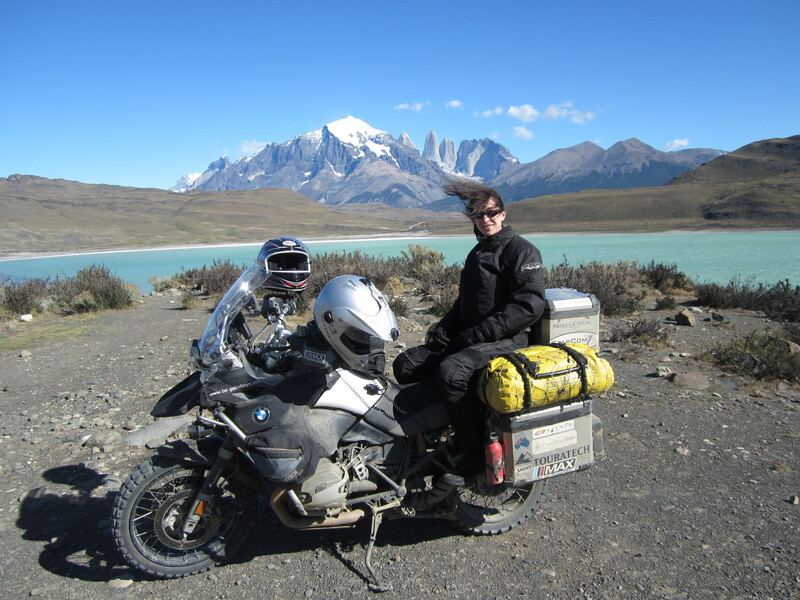 My desire for travel was highlighted when I came across motorcycle travel. It opens you up to the world unlike any other. You experience the good and the challenges that much more. The connections to people are close at hand and not limited behind windows and doors. You also feel every raindrop, every tip-over, the stall-outs in the river crossings… and somehow these challenges continue to add to the adventure and not detract.